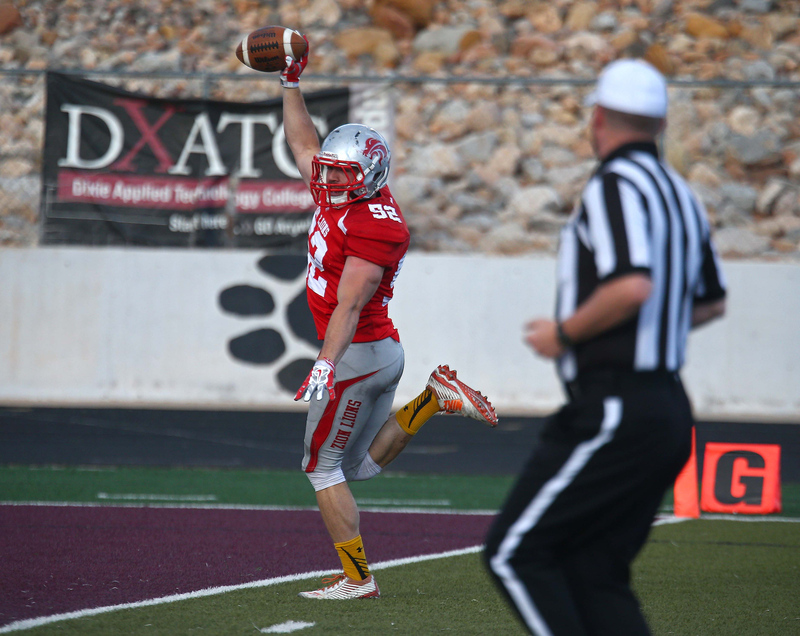 OGDEN – Tonight’s Rocky Mountain Football League championship is a foregone conclusion. At least if one looks at the game’s history (and the flood of social media posts). When the Zion Lions suit up against the Wasatch Revolution (8 p.m. at Ogden High School), the two teams will meet for the fourth straight time in the league championship. And it has not gone well for the Lions. 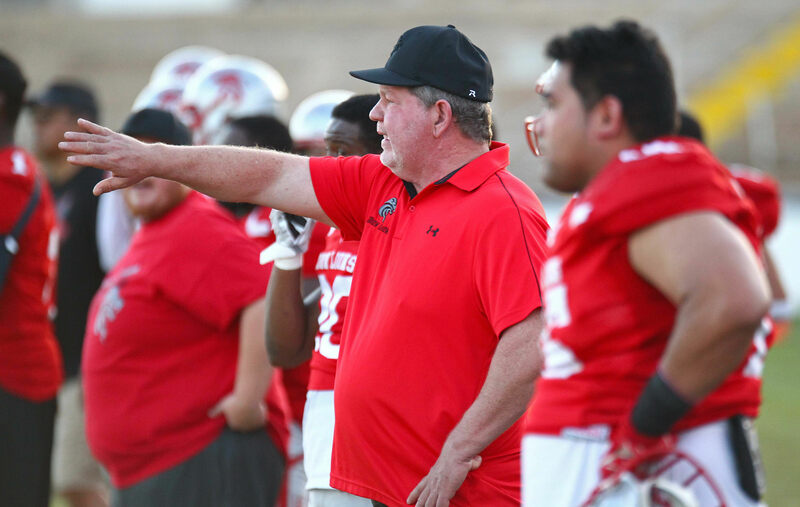 The Lions are 3-0 vs. the Rev in St. George under Stott, and an argument could be made that this year’s title game should be played in Utah’s Dixie. The two teams tied for first in the RMFL Big South at 5-1. They split their two meetings (Lions won 17-14 in St. George and Rev won 26-10 in Ogden) as well. But the Lions had a much bigger point differential on the year (Zion outscored opponents by 15.2 points a game, Rev did it by 13.0 ppg) while playing a more difficult schedule (Zion played third-place Utah Shock twice, Rev played fourth-place Wildcats twice). But the league used head-to-head point differential as the tiebreaker, giving the Rev the home-field advantage in tonight’s title game. The Lions come in on a two-game win streak. They closed the regular season with a 49-35 win over the Shock, then beat the Shock 22-20 last week in St. George in an RMFL semifinal game that saw the Lions playing without many of their stars. 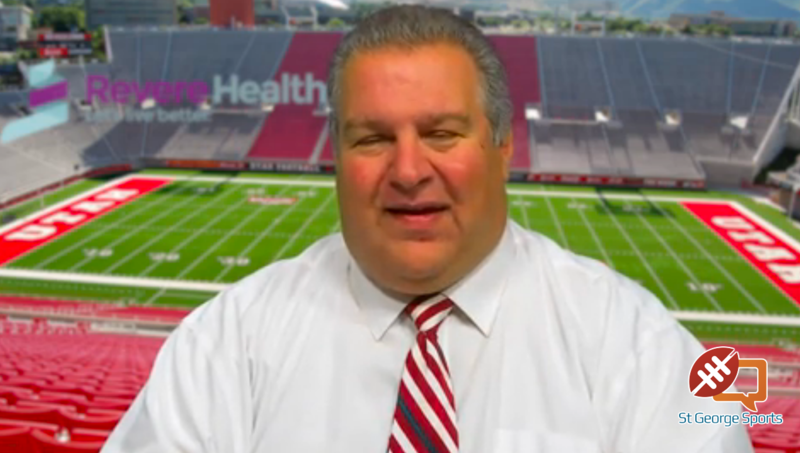 The Revolution, meanwhile, have won five straight since that Week 2 loss to the Lions and destroyed the Utah Wildcats 41-0 in the other RMFL semifinal. As per usual, there were some alleged shenanigans with star players (ringers?) joining the Rev after having not played all season. Former BYU star running back Harvey Unga and former NFL wide receiver Delric Ellington both played last week. So the Lions will turn to their current stars to try and buck the trend and beat the Rev. And those stars have being shining brightly. Diarra Fields is the Zion quarterback and he has been hot lately. He’s thrown five touchdown passes and no interceptions the past two weeks while racking up more than 300 yards. 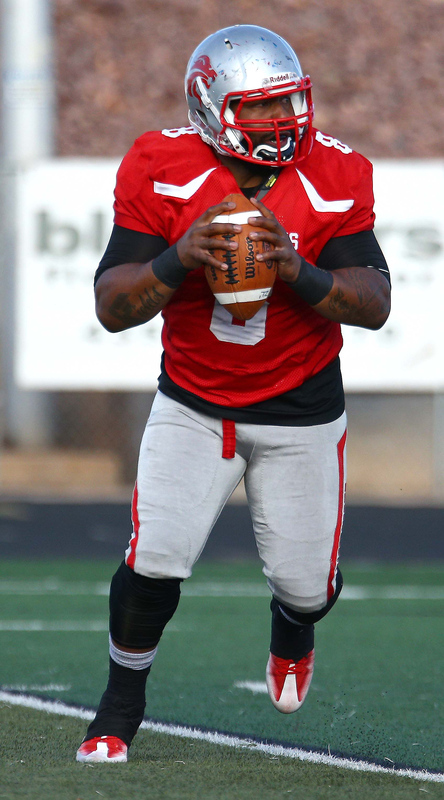 His pinpoint 27-yard TD pass to Justin Fulton in the fourth quarter against the Shock provided the winning points. Miller ran for 122 yards last week on 11 carries, a whopping 11 yards per tote. Stott also praised his special teams play this season, and kicker/punter Dillon Bishoff in particular. Bishoff averaged a league-best 42.0 yards per punt this season and was money on extra points, making 24 of 25. “We’ve had excellent special teams play this year and our kicking game has been much better than any time in the past,” Stott said. Defensively for the Lions, the league’s top tackler, Taris Schramm, is part of an intense linebacker crew that features former Texas A&M star Tupe and hard hitting Brandon “Smashmouth” Thompson, plus big Isaako “Tui” Aaitui. Those guys will try to slow down the league’s top running back, Zach Geurts, a big bruiser who averaged 7.2 yards per carry this season. As good as Geurts is, the Rev live and die by the hands of quarterback Charlie Peterson, a former BYU star who is in his 30s now. “He’s a great player and he’ll be back for this game,” Stott said. Peterson missed about half of the Rev games this year with an injury, but he did play in both contests against the Lions. Joe Mapson and Jordan Drage are his go-to targets at wide receiver. Mapson had 26 catches for 381 yards and five TDs this year, while Drage collected 17 grabs for 197 yards and a TD. 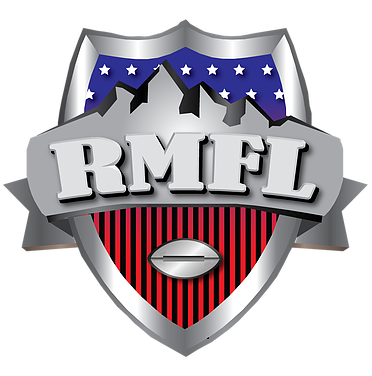 The game is the finale of the 2017 RMFL Championship Day in Ogden. It begins at 11 a.m. with an RMFL Bowl Game: Billings Xtreme vs. Davis Vipers, followed by the Great North All Star Game at 2 p.m. At 5 p.m. is the Great North Championship game featuring the Blackfoot Anarchy vs. the Great Falls Gladiators. The Big 5 Championship is set for 8 p.m. with the Revolution vs. the Lions.